This year we have decided to give recognition to our top bloggers, top members, and founding members of the ERP Software Blog, CRM Software Blog and ERP Cloud Blog. All of these companies get our sincere congratulations for their hard work. Top Blogger Award – Members whose posts received the most traffic and members with the highest number of clicks from their posts back to their website. Their articles get the most readers and inspire those readers to take action and learn more. Top Member Award – Members that posted the highest number of blog articles this year and members that posted consistently every month. Our version of the “perfect attendance” award. Founding Member – Members that joined our sites right at the very beginning and have stayed with us all these years. All of our members on each blog site are appreciated. But these few deserve a little extra credit for their hard work. We look forward to honoring more members for 2019. A special badge has been added to the profile page of each member on the blog site. Click the link of each winner to check it out, learn more about their company, and read their posts. Interested in joining our group blogs? Contact us. The findings were published as part of data and research company PitchBook’s annual European Venture Report, which revealed that a total of €20.5 billion ($ 23.3 billion) was invested across 3,384 deals in 2018 — this represents an increase of 4.2 percent in terms of the overall money invested. But the total number of deals dropped by 25.9 percent. PitchBook, in conjunction with London PR firm London & Partners, released separate figures for the European technology industry a few weeks ago, though it was chiefly focused on the U.K. capital. It did reveal, however, that total VC investment into European companies experienced a slight drop in 2018 — down to €11.85 billion ($ 13.46 billion) from the record €11.88 billion ($ 13.5 billion) in 2017. From this, we can extrapolate that roughly half of all European VC investments in 2018 involved technology companies. That report also found that while investments into London-based technology companies fell by 29 percent in 2018, they still managed to attract nearly double the amount raised by their nearest counterparts in other European cities — London tech firms secured $ 2.3 billion last year, while Berlin and Paris companies raised $ 1.2 billion and $ 1 billion respectively. Direct VC investments only conveys part of the story. The PitchBook report found that there was €47.5 billion ($ 54 billion) of exit value in 2018 — up 164.8 percent on the previous year — while the number of exits dropped 30.5 percent to 373. So this was similar to what we saw with VC funding: more money involving fewer companies. However, it’s worth highlighting that if you take Spotify and Adyen’s respective IPOs out of the picture, exit value actually declined 4.2 percent year-on-year, which helps to illustrate the effect that just two outliers can have on the stats. London-based Farfetch was another multi-billion-dollar exit in 2018, which was valued at around $ 6 billion at its IPO. Elsewhere, PitchBook’s 2018 report shows that VC funds raised €8.4 billion ($ 9.54 billion) last year across 62 funds, representing a modest 0.2 percent increase and 23.5 percent decrease, respectively. How are regulations changing approaches to collections and recovery? 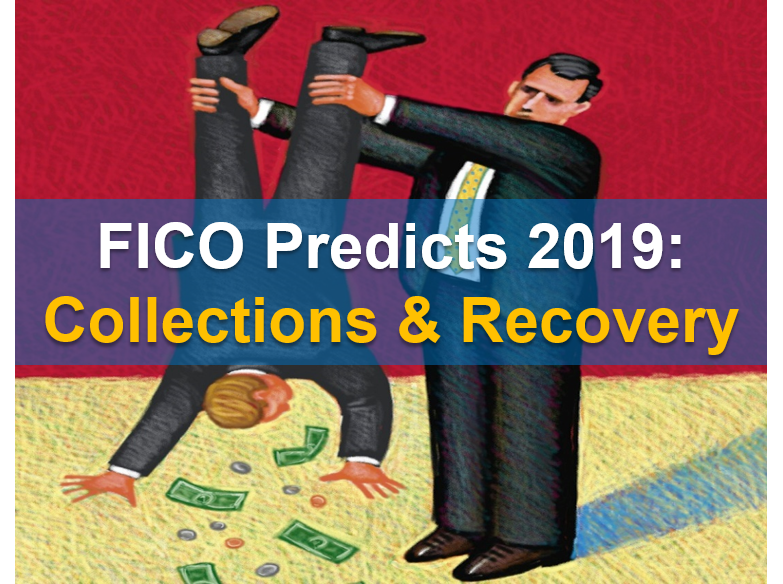 Those discussions drove the most-viewed posts on the FICO Blog last year in the Collections & Recovery category. Here are the top five posts from 2018. 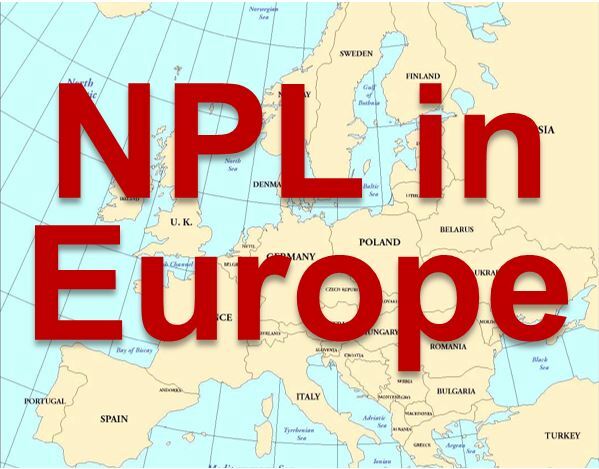 One of the big changes we see as a result of the NPL activity is in the debt purchaser market, where some of the larger firms — such as B2 Holdings and Hoist — have grown rapidly, as banks look to shed unprofitable portfolios. Debt purchasers and debt collection agencies are consolidating, innovating and in some places become the preferred location for financially vulnerable customers. This is driven to a large degree by regulatory pressures on banks to reduce their NPL, and also by a new force: IFRS 9. IFRS 9 accounting rules have effectively drawn a new border line for concern. Under previous regulation IAS 39, this border was at 90 days past due, when loans are classed as NPL. 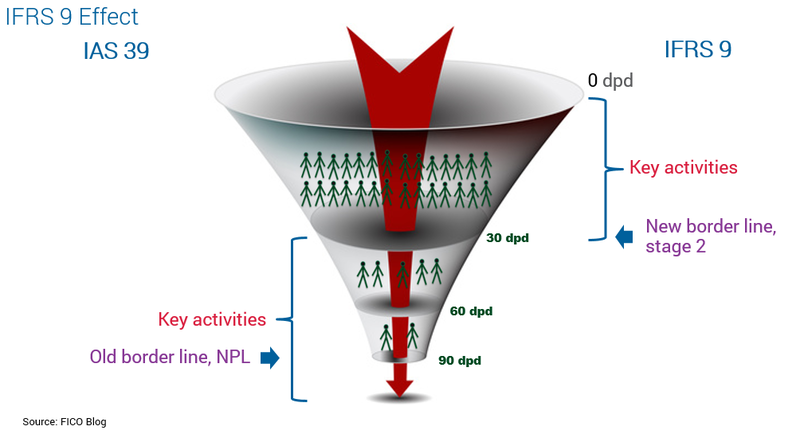 Under IFRS 9, this border has moved way up in the funnel, to 31 dpd, when customers (and all their accounts with the bank) move from Stage 1 to Stage 2 in terms of risk. At this point, the bank must increase impairment for the customer’s accounts from 12-month expected credit losses to lifetime expected credit losses. That’s a cliff-edge banks are naturally keen to avoid. AI is here for a few and coming for many, but there will be many failures and many areas of wasted investment before appropriate AI is an off–the-shelf purchase. In the C&R space, a huge proportion of the industry still needs to develop a reasonable standard of analytic insight. My advice: Don’t get distracted by the word AI, unless you’re already pretty far along the analytics spectrum. You’ll see faster results from focusing on a good set of collection models and strategy optimization. (And for those that are close enough to it you’ll recognize that mathematical optimization in an adaptive control environment, and so actually is AI and machine learning!). These omnichannel solutions are the target investment of many organizations that recognize the competitive disadvantage if they’re not in place. However, these platforms that provide the biggest change in customer treatment and performance for huge cohorts of customers only start to truly ”buzz” when they are deployed on a foundation of analytic optimization. While many collectors are still getting on board with analytics, some of the most sophisticated are using mathematical optimization to decide who to treat, when and how. Ulrich Wiesner explored how optimization works in various areas of collection treatment. Even if you have a decent strategy for segmenting customers and assigning actions, this will be complicated by workload issues. Accounts enter in waves, so you won’t have the same inflow every day, and you need to spread work over the month. Credit cards are less of a problem — there are between 15 and 22 cycles spread over the month. But many loans or mortgage products only have payments once or twice a month, so all accounts become delinquent at once. You can’t call them all on the 15th. Furthermore, you have to deal with the higher volume after vacations and holidays, where you will face higher delinquency rates. If you’re a mobile provider, you may sign a bunch of new contracts when a new iPhone is released, which can cause a wave of delinquencies with the next invoice. You also need to schedule around vacation time for collectors. This is where collection treatment optimization really delivers benefits, because it works these capacity crunch constraints out for you. In a traditional environment, you can do ad hoc capacity management by manually overwriting your strategy, saying this week we won’t dial this campaign because we don’t have enough people to cover it. But this can negate the impact of a good strategy. With optimization, at the press of a button you can adapt your strategy to fit new constraints and capacity. In the UK, the FCA has focused on persistent debt and challenged lenders to help consumers out of it. Stacey West discussed how Direct Debits can help. After discussions with Bacs, the organisation behind Direct Debit in the UK, it became clear that flexibility in both payment date and frequency can have a significant impact on take-up rates. Offering consumers the option to choose a date, or dates, which suit them best – perhaps to coincide with payday – can have a positive effect. Given the rise of the ‘gig economy’ and the number of people being paid weekly, considering a move away from just a monthly frequency for Direct Debit collection is also worth looking at to encourage more people to opt to pay this way. Find out more about how to promote Direct Debit at www.bacs.co.uk/marketingdirectdebit. It’s also worth addressing another potential misconception, which is that only minimum or full payments can be taken through Direct Debit. In fact, any % or amount is available — this flexibility could be very useful relating to these two initiatives. Some issuers make it easier than others to change to a more flexible payment structure and this is expected to expand. It would also help with demonstrating to the regulators that customers are being treated fairly. Increased Direct Debits may result in a loss of revenue for issuers, but this loss may be far outweighed by the cost of provisioning for stage 2 or for the actions required in a persistent debt situation. 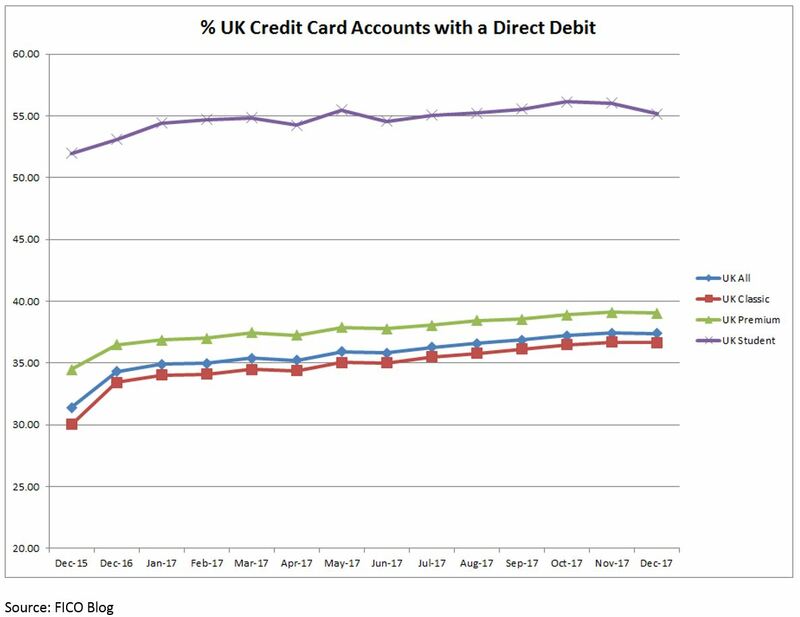 This trade-off may help issuers build a business case for incentivising Direct Debit usage. 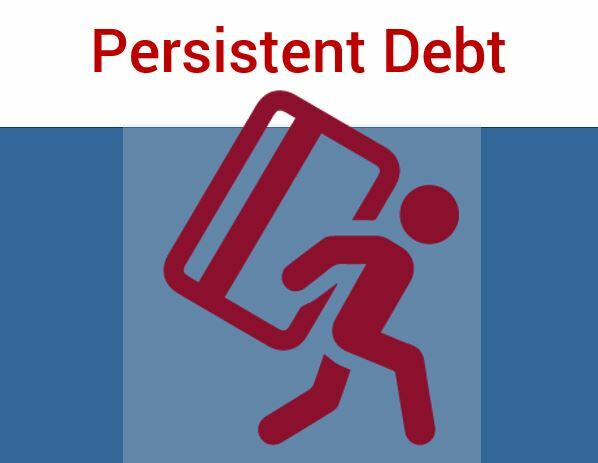 Another approach to persistent debt is helping borrowers before they fall behind on payments. Stacey West discussed ways to do this, which will also help lenders avoid higher provisions under IFRS 9. There are a host of metrics an issuer could use when trying to detect the accounts that are most likely to fall into financial difficulties, including more trend-focused data, transactional data and bureau information, with the latter providing a wider customer view. If accounts fall into the pre-delinquency subpopulation, reviewing their other products held is also key — issuers need to be aware of the potential knock-on effect for other business lines and the broader relationship. Change in % payments to balance over 3 or 6 months to determine if payment amounts are decreasing. Overlimit for the first time or first time in X months. First use of cash or increase in usage. Sudden use of card after period of inactivity. < 18 months in persistent debt. The chosen predictive metrics need constant review as they will vary in line with any economic changes. Consistency with other account management treatment needs to be considered to prevent sending mixed messages and confusing the customer. For example, you don’t want to offer an increase or allow overlimit spending while also making contact relating to potential problems. Follow this blog in 2019 for more insights into collections and recovery challenges. There are many out-of-the-box System Views and Dashboards that come with Dynamics 365. Sometimes, there are Views or Dashboards that go unused and are a hindrance rather than a help. Other times, you may want to create your own custom System Views or Dashboards to replace the out-of-the-box ones. This post explores how you can accomplish these tasks. PowerApps “is a service that lets you build business apps that run in a browser or on a phone or tablet, and no coding experience is required.” This post walks you through PowerApps with extensive screen shots and shows you that creating apps is easy to do and easy to share. Dynamics 365 offers multiple ways to access the data for specific teams, departments, or groups within your company. However, Microsoft introduced additional options through what they call Hubs. There are multiple Hubs available, but it depends on the subscription you purchased for your company. This post will walk you through the various Hubs and how they can benefit your team. There are two mainstream marketing automaton options for Dynamics 365. This post is an initial review of Microsoft Dynamics 365 for Marketing and a high-level comparison to ClickDimensions. Dynamics 365 (CRM) has a neat feature, Record Hierarchy, that can be easily overlooked, but can provide great visual insight into your customers. The Record Hierarchy in Dynamics 365 is a simple concept: it boils down to relationships. The Hierarchy options can help you visualize or find important customer data within Dynamics 365. This extensive post will walk you through the many ways you can use it. Microsoft Dynamics CRM and SharePoint integration helps users to easily view and share stored documents and increase productivity and strengthen collaboration between the different business units and teams in their organization. This post will show you how to get the most out of the integration of these two powerful applications. CRM Word Templates are documents created once, with attributes/fields from CRM entities and related entities, to generate Word documents and reports using the CRM function “Word Template” in the user interface of a record. If you don’t want to create your own Dynamics CRM Word templates, you can download these free word templates for Invoice, Quote, Order, Opportunity, and Case. You can modify the images and content of the template and add or remove fields not required in your document. There are several new features available in D365 v9, one of these features is MultiSelect Option Set fields. With this feature, you can have one field with a list of options, and you can select more than one option from the list! Imagine if your company offers multiple services and customers can sign up for more than one service – the MultiSelect Option Set will solve this problem as well. Microsoft Dynamics 365 or Salesforce, which should you choose for your business? This post summarizes the Forrester study that examined the two options and made recommendations. There are a lot of new and exciting features in Dynamics 365 v9, also called Potassium. Whether you’re an end user, a customizer, an administrator, or a developer, there is something new and improved that you will love! This post discusses some of our top picks. Want to check out the hottest topics for 2019? Visit www.crmsoftwareblog.com and sign up for the RSS feed or subscribe to receive new blog posts via email. Are you a Microsoft Dynamics 365/CRM Partner that is interested in writing for the CRM Software Blog? Contact us. For decades, games have served as benchmarks for artificial intelligence (AI). In 1996, IBM famously set loose Deep Blue on chess, and it became the first program to defeat a reigning world champion (Garry Kasparov) under regular time controls. But things really kicked into gear in 2013 — the year Google subsidiary DeepMind demonstrated an AI system that could play Pong, Breakout, Space Invaders, Seaquest, Beamrider, Enduro, and Q*bert at superhuman levels. In March 2016, DeepMind’s AlphaGo won a three-game match of Go against Lee Sedol, one of the highest-ranked players in the world. And only a year later, an improved version of the system (AlphaZero) handily defeated champions at chess, a Japanese variant of chess called shogi, and Go. With that in mind, and with 2019 fast approaching, we’ve taken a look back at some of 2018’s AI in games highlights. Here they are for your reading pleasure, in no particular order. Above: Map of level one in Montezuma’s Revenge. In Montezuma’s Revenge, a 1984 platformer from publisher Parker Brothers for the Atari 2600, Apple II, Commodore 64, and a host of other platforms, players assume the role of intrepid explorer Panama Joe as he spelunks across Aztec emperor Montezuma II’s labyrinthine temple. The stages, of which there are 99 across three levels, are filled with obstacles like laser gates, conveyor belts, ropes, ladders, disappearing floors, and fire pits — not to mention skulls, snakes, spiders, torches, and swords. The goal is to reach the Treasure Chamber and rack up points along the way by finding jewels, killing enemies, and revealing keys that open doors to hidden stages. Montezuma’s Revenge has a reputation for being difficult (the first level alone consists of 24 rooms), but AI systems have long had a particularly tough go of it. DeepMind’s groundbreaking Deep-Q learning network in 2015 — one which surpassed human experts on Breakout, Enduro, and Pong — scored a 0 percent of the average human score of 4,700 in Montezuma’s Revenge. Researchers peg the blame on the game’s “spare rewards.” Completing a stage requires learning complex tasks with infrequent feedback. As a result, even the best-trained AI agents tend to maximize rewards in the short term rather than work toward a big-picture goal — for example, hitting an enemy repeatedly instead of climbing a rope close to the exit. But some AI systems this year managed to avoid that trap. In a paper published on the preprint server Arxiv.org in May (“Playing hard exploration games by watching YouTube“), DeepMind described a machine learning model that could, in effect, learn to master Montezuma’s Revenge from YouTube videos. After “watching” clips of expert players and by using a method that embedded game state observations into a common embedding space, it completed the first level with a score of 41,000. In a second paper published online the same month (“Observe and Look Further: Achieving Consistent Performance on Atari“), DeepMind scientists proposed improvements to the aforementioned Deep-Q model that increased its stability and capability. Most importantly, they enabled the algorithm to account for reward signals of “varying densities and scales,” extending its agents’ effective planning horizon. Additionally, they used human demonstrations to augment agents’ exploration process. In the end, it achieved a score of 38,000 on the game’s first level. Above: An agent controlling the player character. In June, OpenAI — a nonprofit, San Francisco-based AI research company backed by Elon Musk, Reid Hoffman, and Peter Thiel — shared in a blog post a method for training a Montezuma’s Revenge-beating AI system. Novelly, it tapped human demonstrations to “restart” agents: AI player characters began near the end of the game and moved backward through human players’ trajectories on every restart. This exposed them to parts of the game which humans had already cleared, and helped them to achieve a score of 74,500. In August, building on its previous work, OpenAI described in a paper (“Large-Scale Study of Curiosity-Driven Learning“) a model that could best most human players. The top-performing version found 22 of the 24 rooms in the first level, and occasionally discovered all 24. What set it apart was a reinforcement learning technique called Random Network Distillation (RND), which used a bonus reward that incentivized agents to explore areas of the game map they normally wouldn’t have. RND also addressed another common issue in reinforcement learning schemes — the so-called noisy TV problem — in which an AI agent becomes stuck looking for patterns in random data. On average, OpenAI’s agents scored 10,000 over nine runs with a best mean return of 14,500. A longer-running test yielded a run that hit 17,500. OpenAI and DeepMind aren’t the only ones that managed to craft skilled Montezuma’s Revenge-playing AI this year. In a paper and accompanying blog post published in late November, researchers at San Francisco ride-sharing company Uber unveiled Go-Explore, a family of so-called quality diversity AI models capable of posting scores of over 2,000,000 and average scores over 400,000. In testing, the models were able to “reliably” solve the entire game up to level 159 and reach an average of 37 rooms. To reach those sky-high numbers, the researchers implemented an innovative training method consisting of two parts: exploration and robustification. In the exploration phase, Go-Explore built an archive of different game states — cells — and the various trajectories, or scores, that lead to them. It chose a cell, returned to that cell, explored the cell, and, for all cells it visited, swapped in a given new trajectory if it was better (i.e., the score was higher). This “exploration” stage conferred several advantages. Thanks to the aforementioned archive, Go-Explore was able to remember and return to “promising” areas for exploration. By first returning to cells (by loading the game state) before exploring from them, it avoided over-exploring easily reached places. And because Go-Explore was able to visit all reachable states, it was less susceptible to deceptive reward functions. The robustification step, meanwhile, acted as a shield against noise. If Go-Explore’s solutions were not robust to noise, it robustified them into a deep neural network with an imitation learning algorithm. Next up, as our Best of 2018 series moves along, we have Data Availability and Data Security. So far we covered the best of Data Quality and Big Data. Read on for the top ten Data Availability and Security posts. Check out our Whitepaper on choosing the right HA/DR solution!